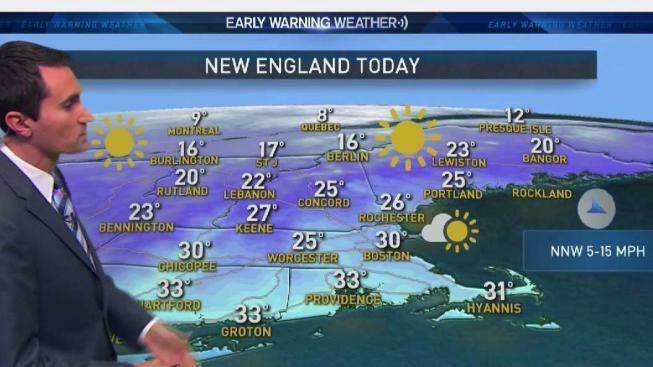 Sunday will be cold once again with high temperatures struggling to get to 30 degrees. We’re expecting a significant, brief warm up by Tuesday. Temperatures may climb into the upper 40s. With 6.1 inches of snow for the month (so far), it’s the second snowiest December in the last six years. We only need another 5.6 inches to claim the top spot. Even though we are expecting a couple warm ups over the next 10 days, it’s still possible that we turn active during the last week of December. Our only chance for a White Christmas is with a storm system that may move through on Christmas Day. Temperatures should cool back into the mid 30s, which could be cold enough to support a few inches of snow. It is important to note that the forecast models have been going back and forth on this idea over the last couple of days.